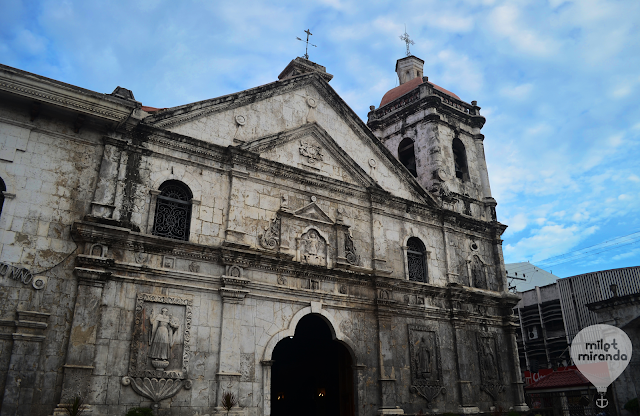 We've known Cebu as the first and oldest city in the Philippines. The place was introduced to us in Grade School as the cradle of Christianity in the Far East. Remember that children's rhyme that goes: "One plus one Magellan, Two plus two Lapu-Lapu..." I bet you know what's next. lol. And how about, 'Sinong pumatay kay Magellan? Si Lapu-Lapu!' 'Sinong pumatay kay Lapu-Lapu? Yung Kusinero!' Haha. Anyhow, that's just goes to show how much we were influenced by the spanish colonization. If you are visiting this part of the Visayas, do not skip Cebu City. 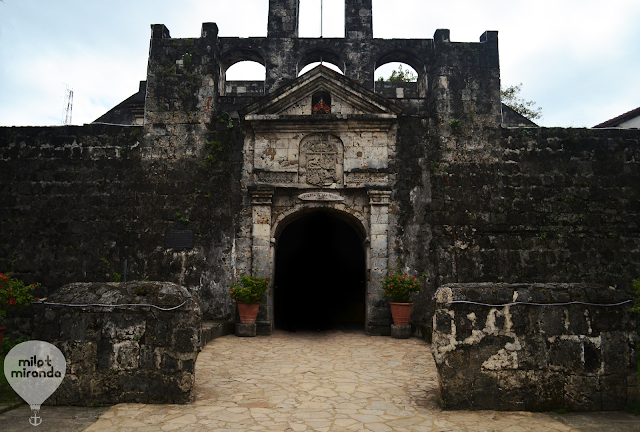 Do not just treat it as a gateway to Bohol because Cebu is a great destination in its own right. Okay? :) So here's some of the historical landmarks worth visiting. Who doesn't know this historical landmark? In grade school, it is printed in every single history books. Ask a grade school student and he know :) The Magellan's Cross is perhaps Cebu's most iconic landmark. 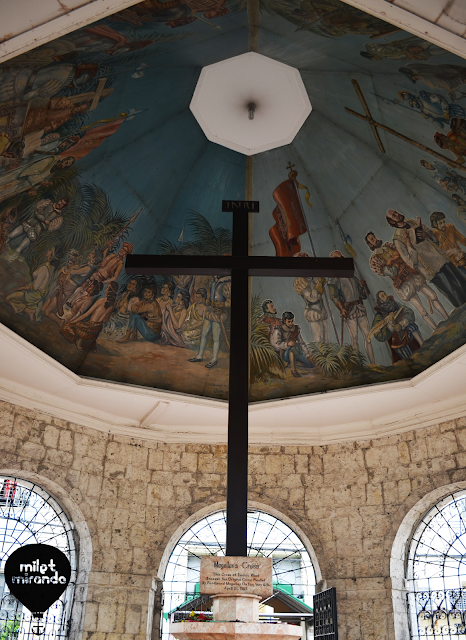 The wooden cross is believed to be planted by Ferdinand Magellan, marking the arrival of Christianity in the Philippines. Fort San Pedro is another historical landmark constructed during the Spanish colonization. It is said to be the oldest and smallest fort in the country. 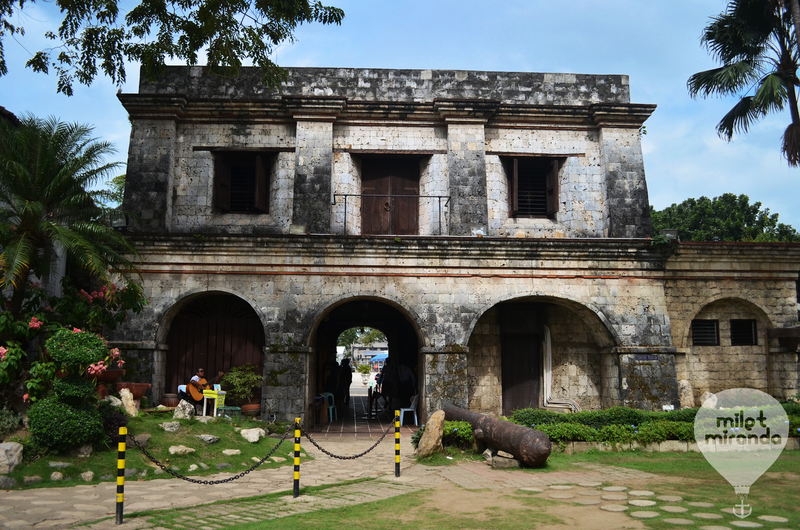 It served as a Spanish military fortress during the rebellion of the locals in Cebu. Nestled amidst the northern hills, the Taoist Temple represents the Chinese community in Cebu. 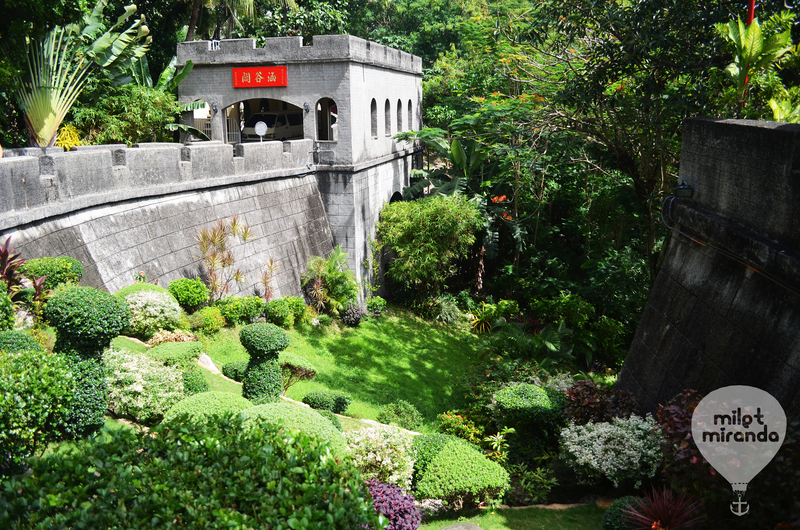 It was built to preserve the teachings of Lao Tse, a Chinese Philosopher. 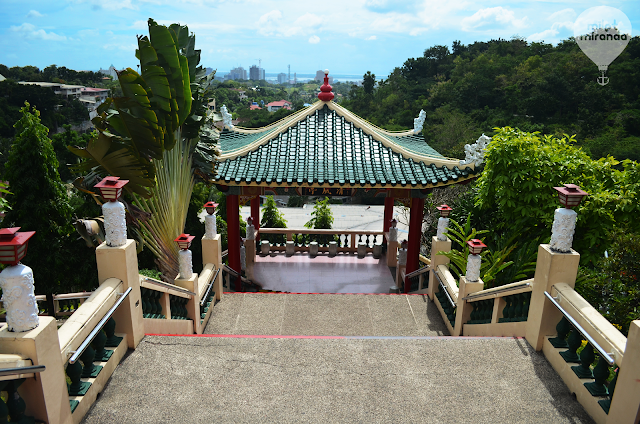 The temple was strategically constructed to form 81 steps, which represent the 81 chapters of Taoism scriptures. A DIY tour is always recommended, not just because it's cheap but also it is exciting :) The tour would approximately take 3-4 hours. 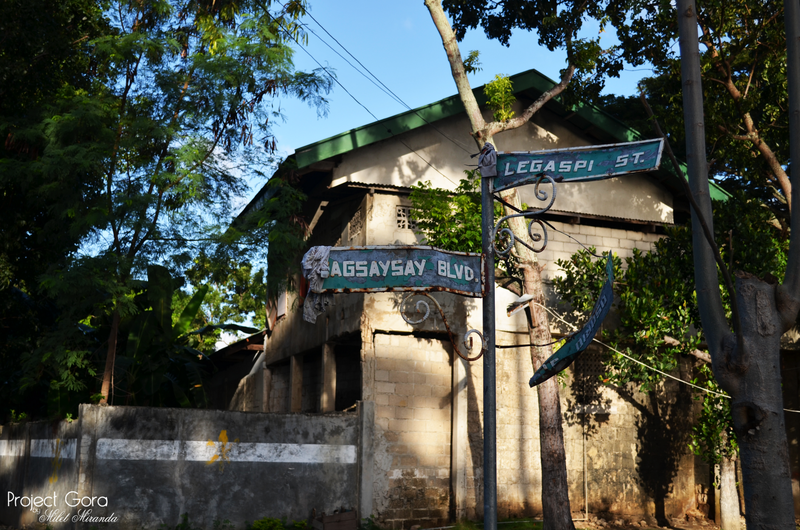 If a DIY heritage tour is not an option, the city has the Pasiyo sa Kabilin, which is a guided heritage tour formulated by the Cebu City Tourism Commission. Find out more. 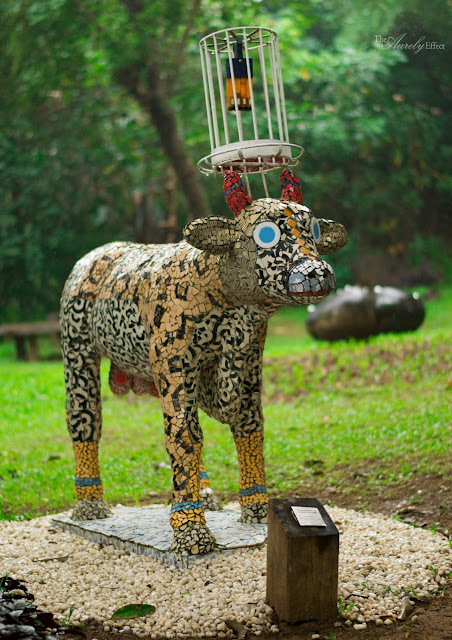 Perched high in the picturesque Silangan Gardens in Antipolo, the Pinto Art Gallery showcases creations from Filipino Contemporary artists. 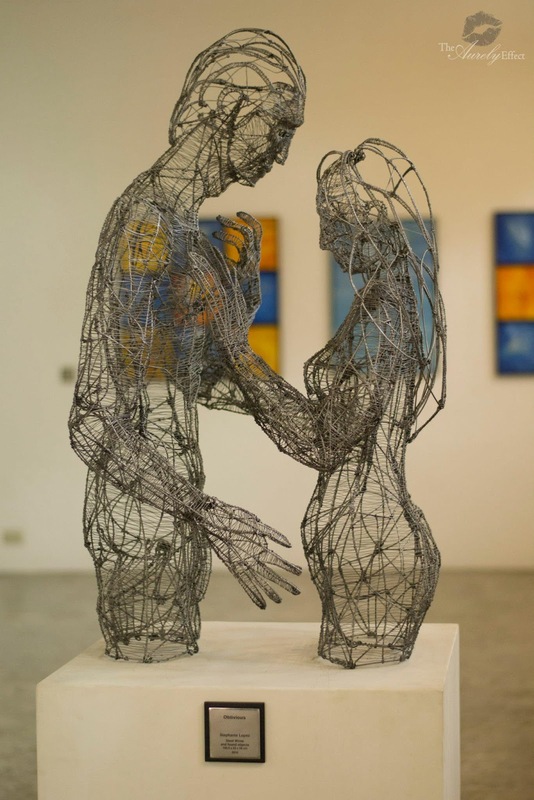 It is owned by the neurologist and art patron Dr. Joven Cuanang who is also the Medical Director of St.Lukes Medical Center. According to the resident artist we talked to(we weren't able to get his name), the doctor would like the youth to see these artworks. He would like to exhibit the works of young artists who didn't have their own art space. 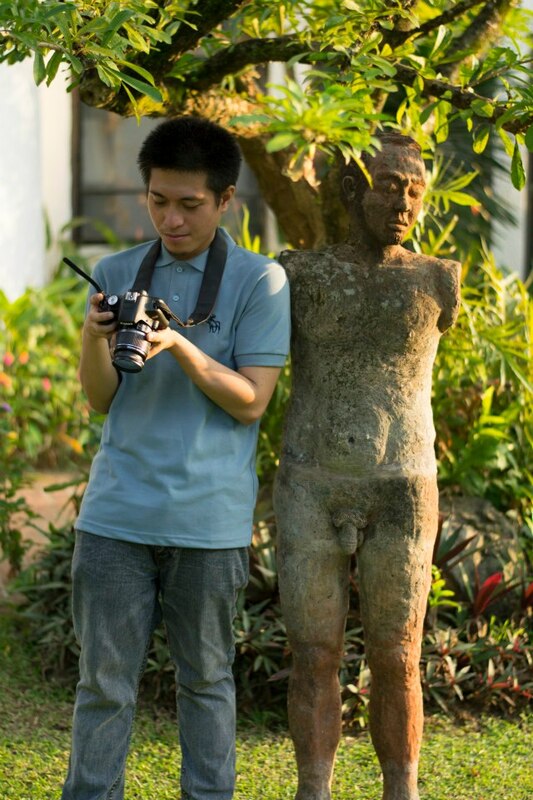 This way, he can contribute to the preservation of Philippine Culture. 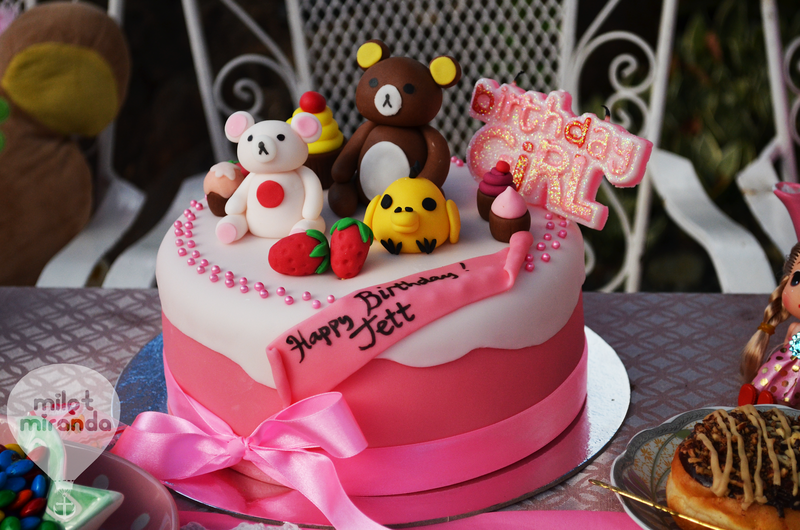 She has this obsession with dolls that's why we celebrated her 24th bday this way. 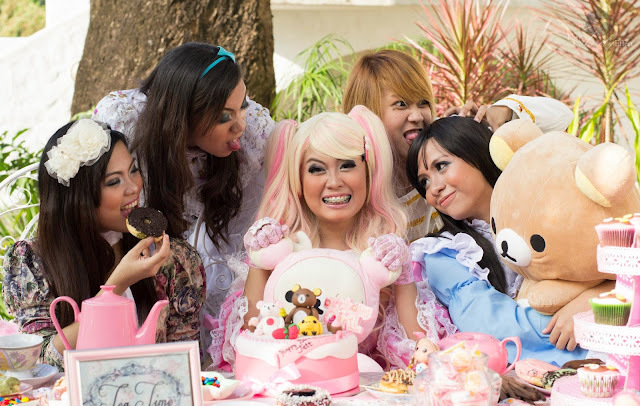 The dolly way :) Anyway, here's some of our dolly photos. Enjoy! 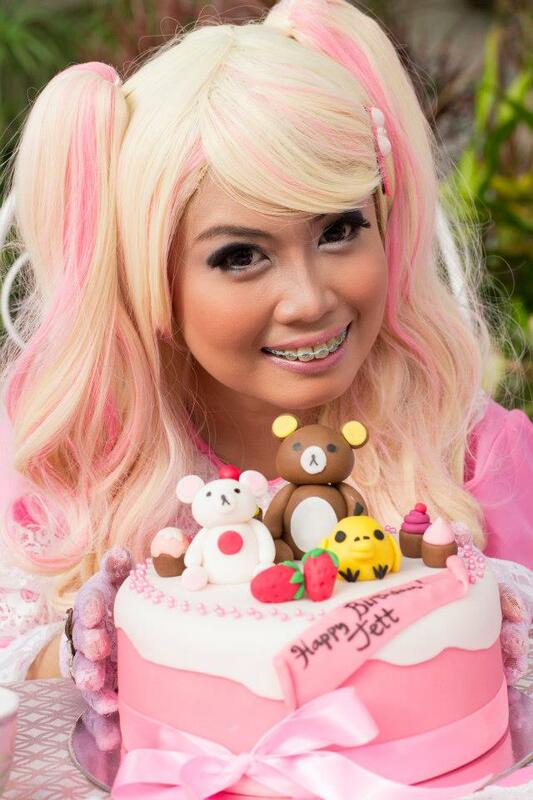 my new photo signature - angkyut! 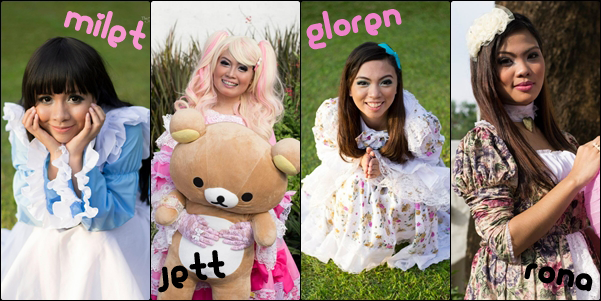 If you want to do a photoshoot, you have to inquire first. Photoshoots for commercial purposes are not allowed. Pre nups can be arranged. I don't know exactly how much my friend paid. 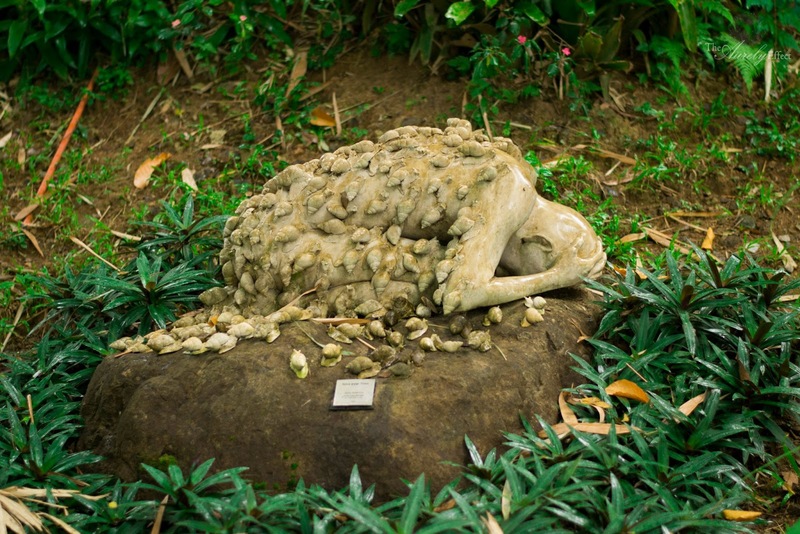 Mukhang maharlika. The Pinto Art Gallery is located inside The Silangan Gardens, 1 Sierra Madre Street, Grandheights, Antipolo City 1870 Rizal. It is open from Tuesdays to Sundays, 9AM to 6PM. Last July, Tiger Airways offered 500,000 domestic seats on sale which has a base fare of Php 119. I was one of the lucky passengers who scored a roundtrip ticket to Cebu for only Php 507.36(taxes included). I don't mind going there alone so I only booked for myself. When my officemates found out about the seat sale, they also booked tickets. Haha. So what to do in Cebu? 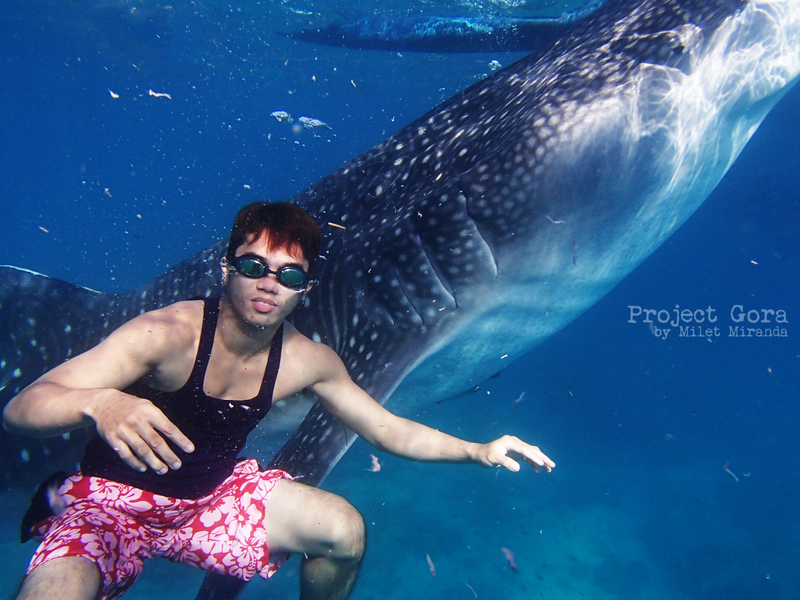 The only thing I have in mind at that time was the Whale Shark in Oslob. I immediately researched online and I found a lot of interesting places. So many places to visit, so many things to do... But I don't want to spend a fortune to experience everything. I wanted to challenge myself so I came up with a great idea. 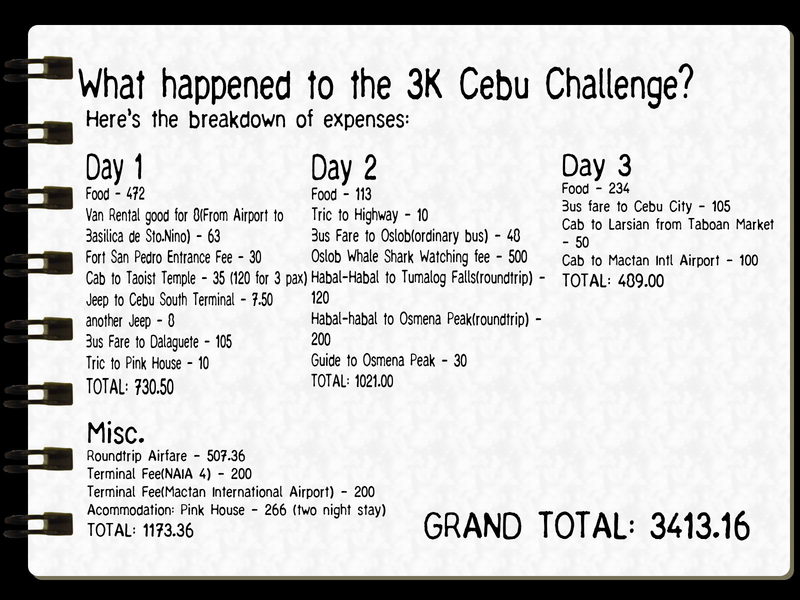 The challenge is to spend not more than 3,000 pesos. This includes 3 day accomodation, transportation costs, roundtrip airfare, terminal fees, food, whale shark watching fee, and entrance fees. We all agreed not to include pasalubong because some of us tend to spend A LOT. I have to emphasize that lol. Parang walang bukas hahaha. Getting around Cebu City is a piece of cake. The easiest way is to take a cab but if you are on a limited budget PUVs would do. If you don't know which route to take, you can ask the locals. 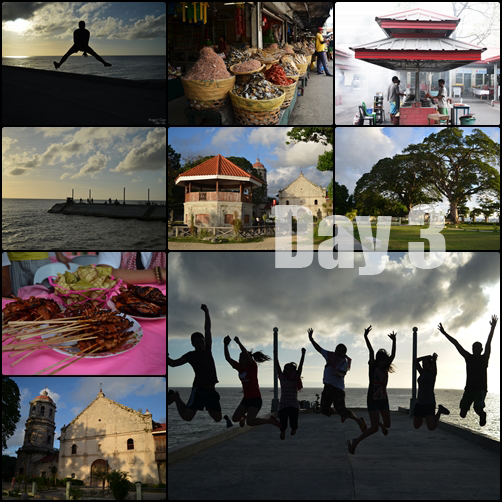 Cebuanos are friendly :) You can tour the city in one day. I would say this was the highlight of our trip. The southern part of Cebu has a lot to offer, really. From historical attractions to natural wonders, it would be hard to decide where to go first. The whale shark encounter had to be the first stop because feeding time is from 6 AM to 1 PM. In the afternoon, you can visit the Tumalog falls and if time permits you can also go to Sumilon Island. 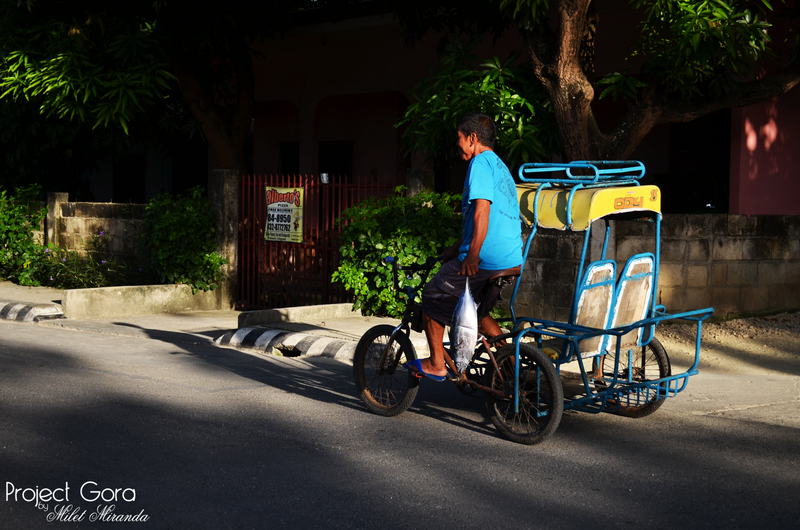 On our last day, we decided to explore Dalaguete specifically the Town of Poblacion. 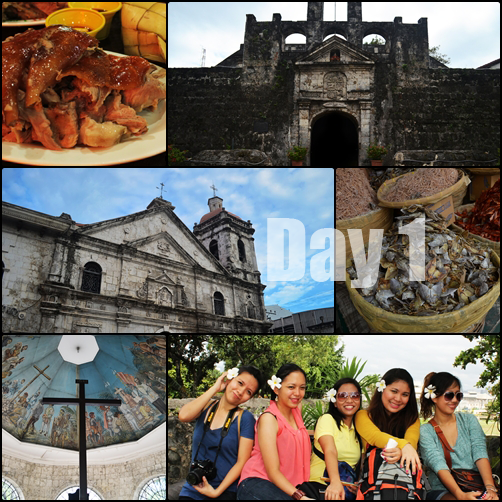 If you are a history buff like me, this is perfect :) We woke up early, gutom lahat, lol. We had breakfast at a local batchoy house. It was a jam packed itinerary. A 3D/2N is really not enough. So what happened to the challenge? See the breakdown below. 'SAAN NA TAYO?!' That was the big question we had in mind when we arrived in Dalaguete. The pedicab drivers asked me where are we staying. 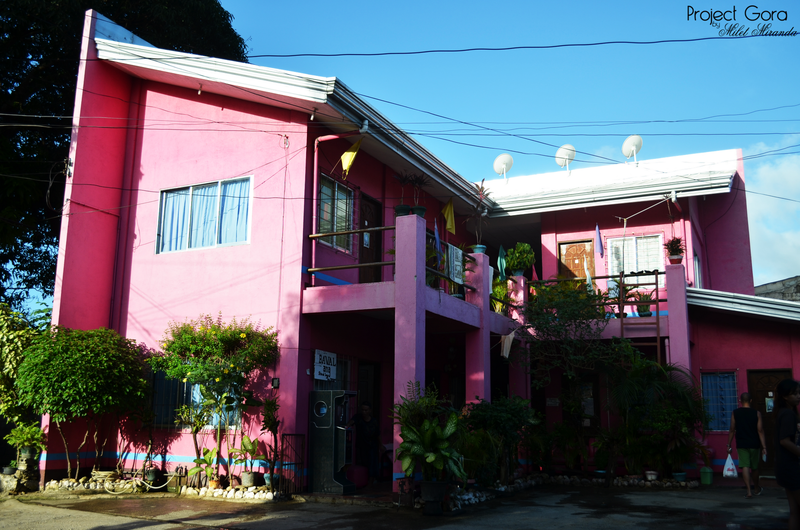 ﻿The first thing that I think of was the Pink House which I saw online(sabi ko kay Maki, bet ko yung house kasi pang Nicki Minaj haha). 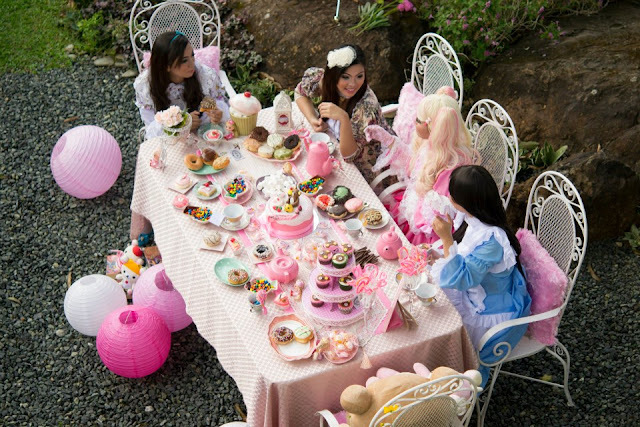 They shouted in unison, 'Sa Pink House!'. Well, that's a surprise. It looks like they know where the hell it is. I was expecting a fan room but look what we got :) The AC unit works fine, the catch is you can only use it for 12 hours a day. 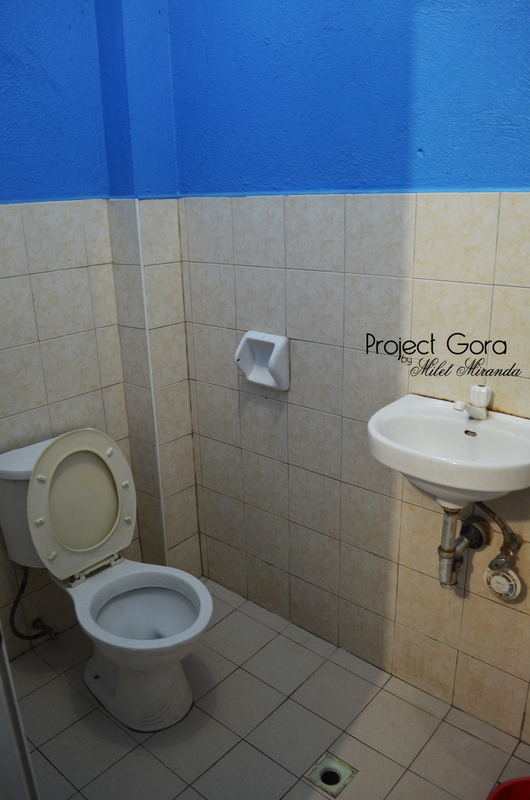 Still, not bad :) Another thing, the comfort room is ok. It's not fancy but it's functional. What I like about the Pink house is that it resembles the old school lodging houses. The type where you can just walk in and pay for your stay. No reservations or advance payment required. Once you have the key, it's all yours. The caretaker did not even ask how long are we staying. Hahaha weird. The location is also perfect for me. It's just a short walk from the market(locals call it mercado, lakas maka spanish haha). It is in the heart of the town where you can actually feel immersed with the people and culture. Will I recommend the Pink House? 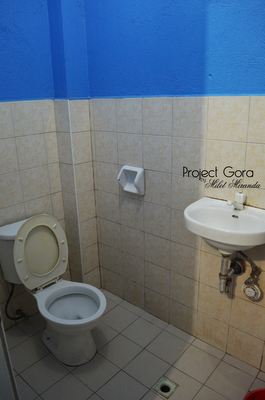 Yes, I will recommend this to people who doesn't care much on accommodation. It is not a fancy lodging house but it offers comfort. If you are interested to stay here, I am not really certain if you can book online/over the phone. Like I mentioned, they did not seem to get any of my texts. You can try what we did. Walk in lang :) You can also refer to Dalaguete's Website. They provided a list of lodging houses and beach resorts. 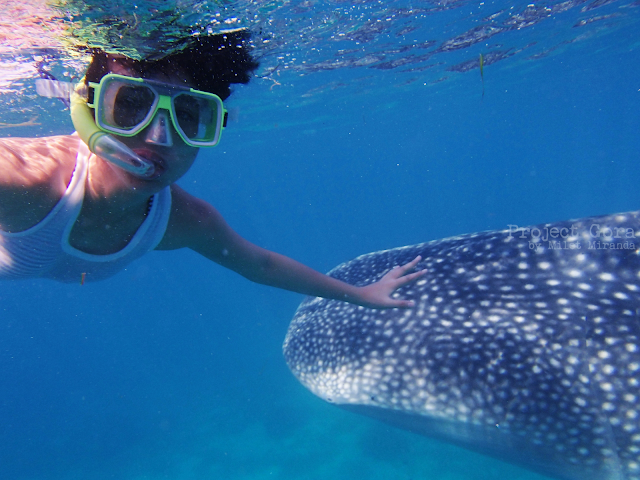 I'd be a cheat If I say I did not fly to Cebu just for the sake of getting a photo with a butanding. 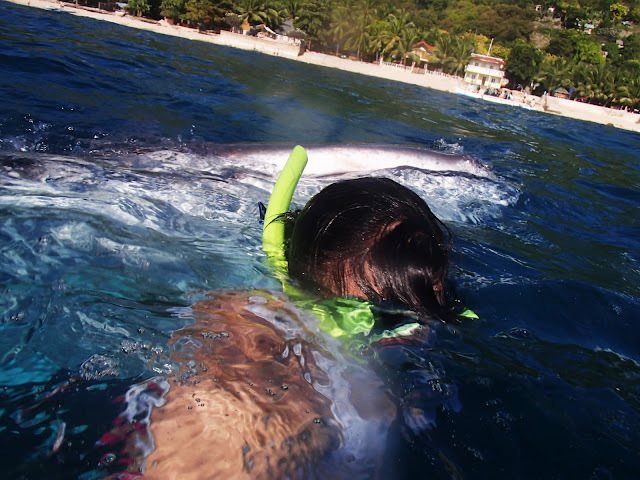 To tell you frankly, I was really thrilled when I found out that people can swim with the butanding in Oslob. Swimming with the gentle giants has always been included in my bucket list. I swear I din not touch the Butanding. Please zoom in. 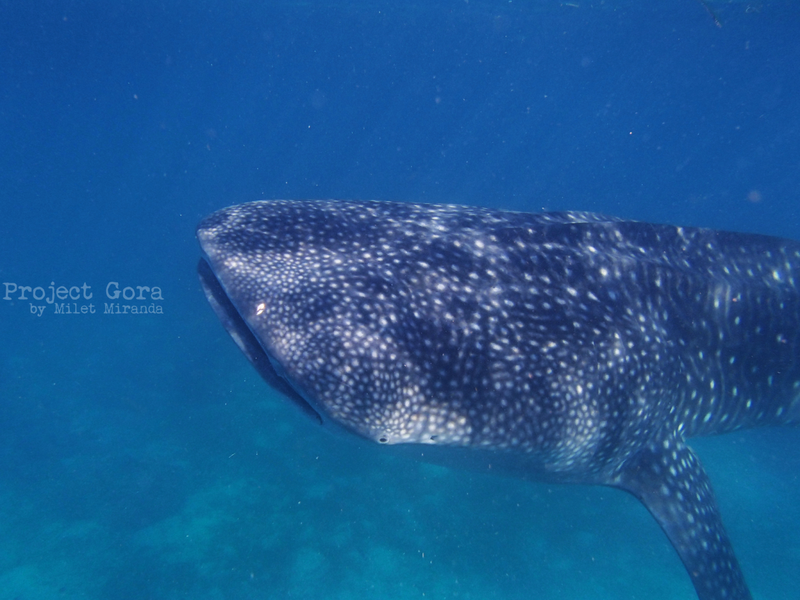 Prior to the trip, I did some research about the whale shark ecotourism in Oslob. 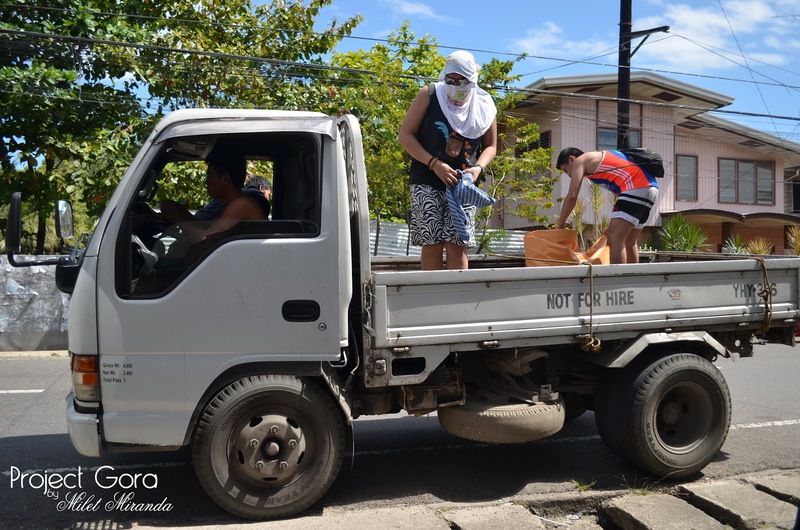 Due to an overwhelming hype, it is not surprising that concerned individuals such as environmentalists submitted a petition to stop the activity. 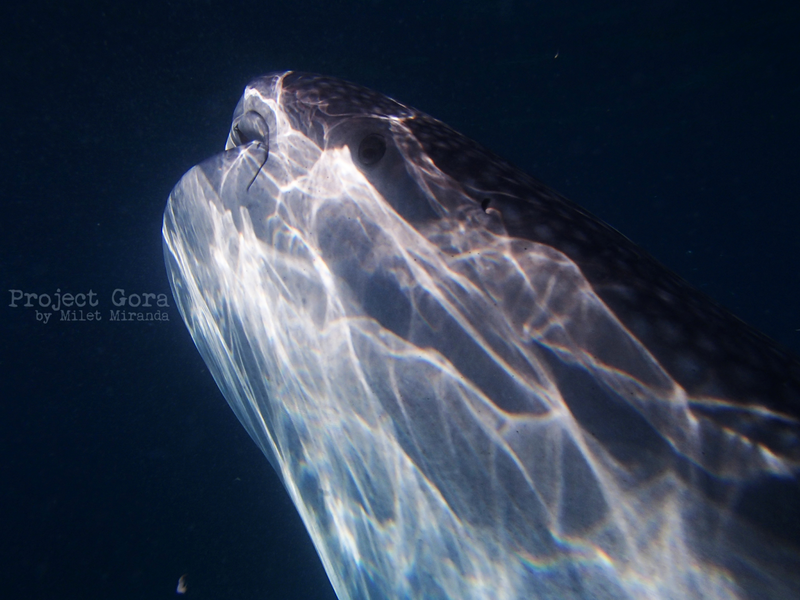 Because of this, the DENR in partnership with BFAR is conducting a three month study concerning the whale shark behavior. The study commenced on the 27th of September, and after the three-month long research, group of experts will be submitting findings and recommendations to DENR. After a short briefing, we headed to the area where the sharks are being fed. 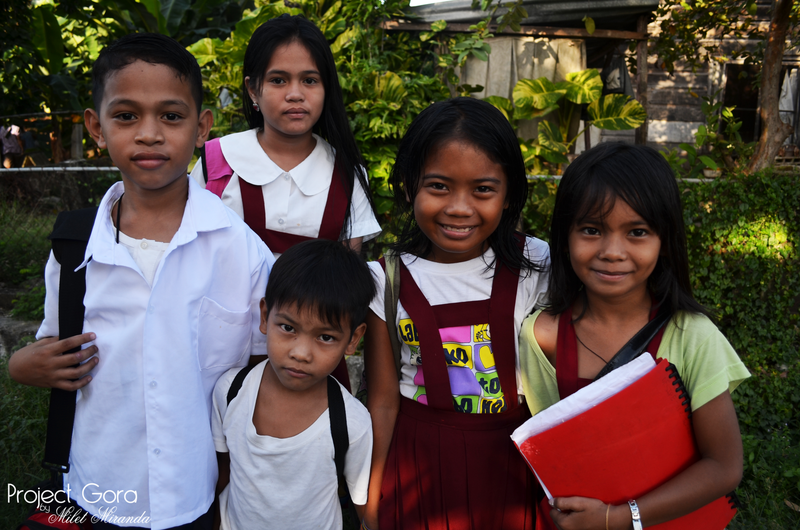 'Kuya asan na po sila?' I asked one of the boatmen. He said, 'Ayan na po Mam'. And here they come, the famous Whale Sharks of Tan-awan Oslob, Cebu. One by one, we went into the water so we could see them up close. I was really terrified when one of the whale sharks came out of nowhere! They are huge, but they swim fast. When a boat comes, whale sharks would nudge it as if begging for food. It looks like they associate boats with food. I am not an expert, but I think this behavior is not normal. Hitting the boat gives them scratches which I clearly saw when I swam with them. Mind you, most of them have scratches in the head part which is very alarming. One of the boatmen shouted the time is up after 30 minutes. We went up back to the boat. 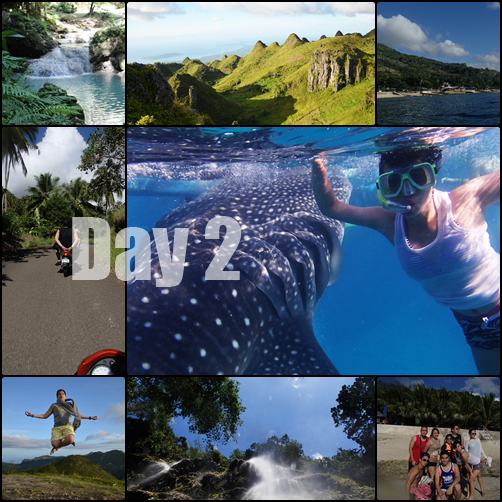 The whale shark encounter was indeed surreal. Ambivalence, that's exactly how I felt after the whale shark encounter. I was happy to see them up close but at the same time I felt sad seeing their scratches. The feeling was VERY different after the encounter. Days prior to the trip, I was really excited to see them. I've been saying to my friends that this would be the highlight of the trip. It was the highlight but I did not expect that the exhilaration will be replaced by distress. Maybe some of us don't realize that this is an alarming situation. The Whale Shark ecotourism has definitely helped the community in Oslob. But I still wonder what will be the effects of this activity in the long run. I am glad that there are people who continuously fight for this battle. The whale sharks may not appear vulnerable but they have to be protected as well. As you notice, I did not create a travel guide. I simply don't want to promote this activity because of what I witnessed. I don't have the right to tell people not to see the Butanding in Oslob. But if you are planning to visit Oslob for the whale shark encounter, think about it. Or better yet, explore the other parts of Oslob like the Tumalog falls and Sumilon Island. Oslob is a lovely place, after all. 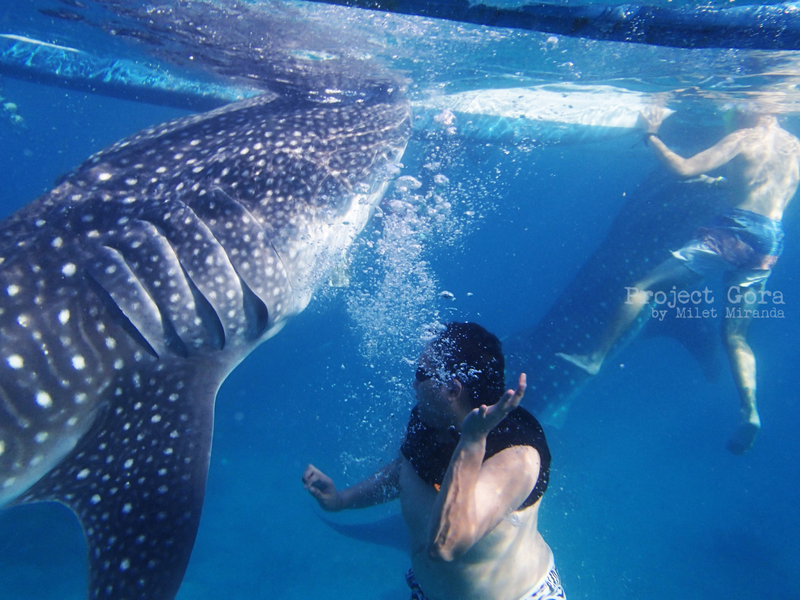 A photo of myself kissed by a Butanding. I actually did not notice that it is coming towards my direction. I might have created too much bubbles that's why it came after me. When I turned around, I bumped into its mouth. Malambot sya, hindi ako nasaktan. Ineexpect ko na masakit or hahampasin ako. Pero hindi. Maybe that's also the reason why they are called Gentle Giants. What experts say? Take time to read this article made by Elson Aca. 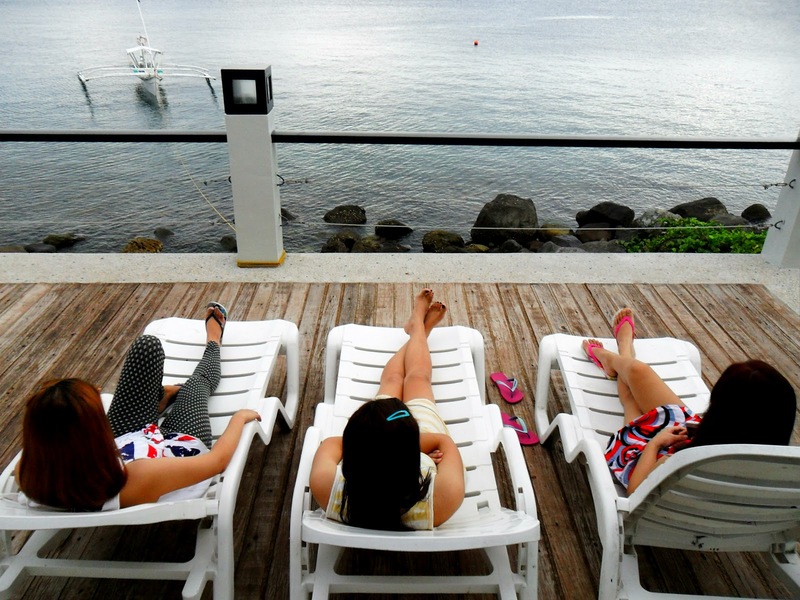 If you are planning to go to Anilao for Discover Scuba/open water certification then I recommend Aquaventure Reef Club. To inquire about the rates, you can email booking@aquareefclub.com or visit the website. We stayed in Aquaventure for two days and we found several plus and minuses. The rooms are pretty much basic but clean. 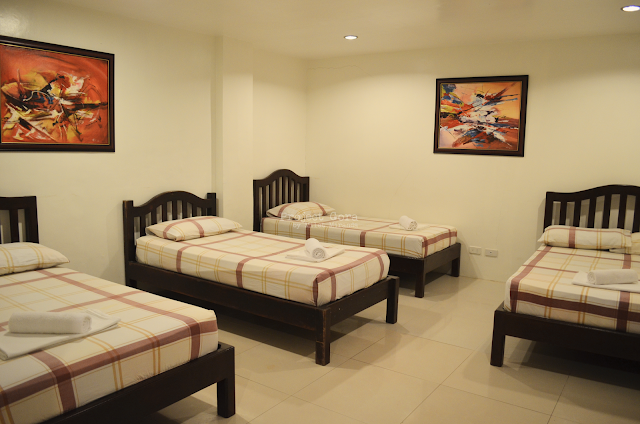 What I like about the resort is that they have big rooms to accomodate a group of 4-6 people. The sheets are clean and mattresses are comfy. The staff are easy to deal with. The food is good but you have limited choices. 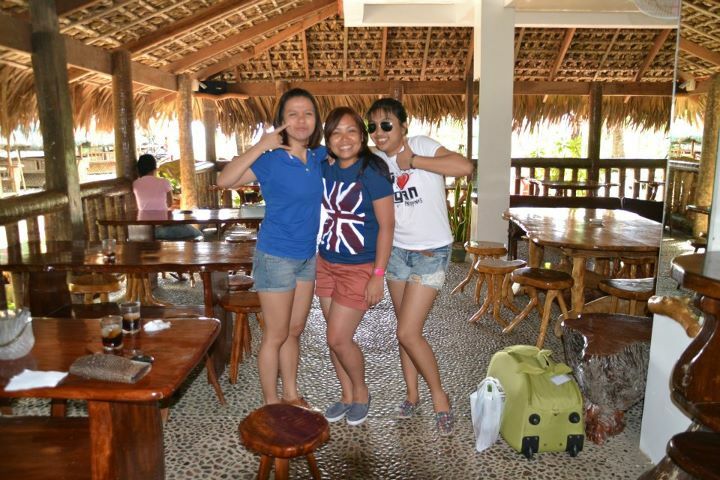 Exactly a year ago, I went to Ilocos for a small reunion with my college friends. This is supposed to be a GROUP trip but as you notice, we were only three. Badtrip. 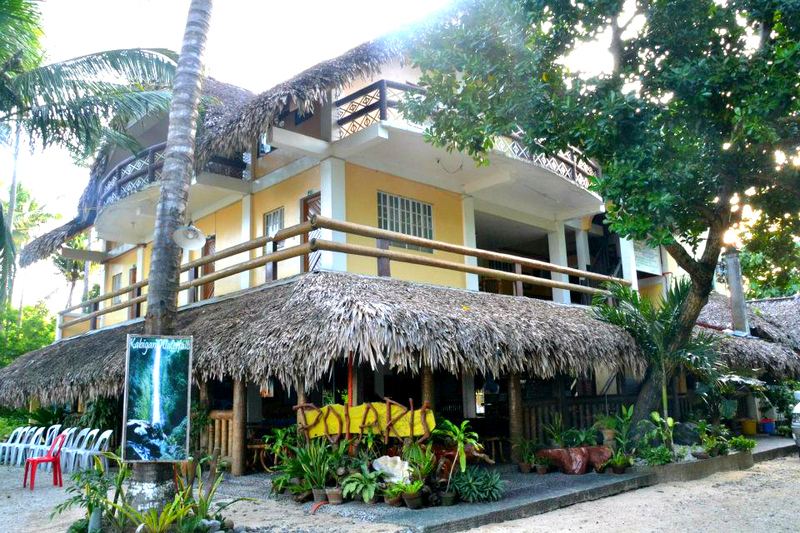 Anyhow, we stayed in Polaris Beach House which is situated in Pagudpud, Ilocos Norte. 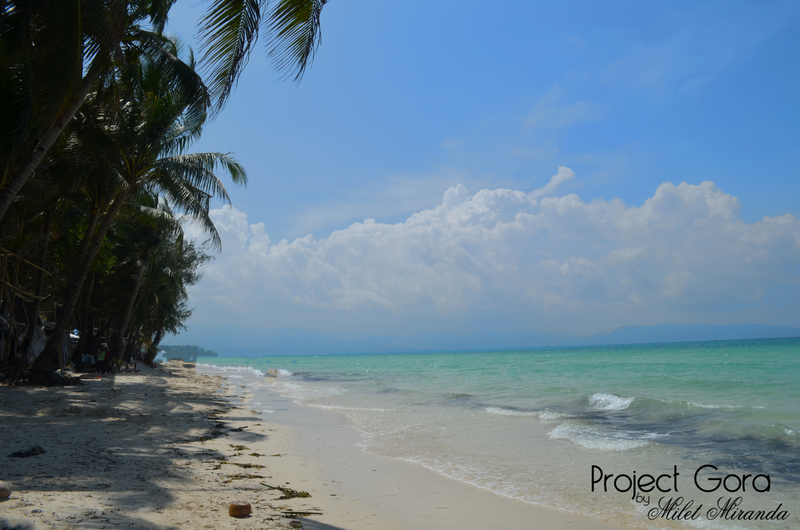 It is just beside the famous Saud Beach Resort. According to my friend Karylle, Polaris is cheaper than Saud Beach, and basically both are located in the same shoreline. Yes! 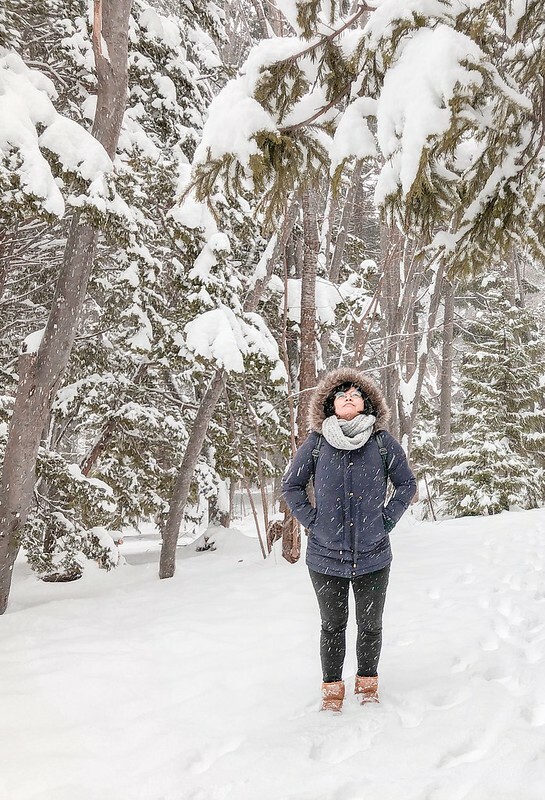 If you want to escape the toxicity of the metro, you will surely love the place. Peaceful and lovely :) You'll see the Bangui Windmills from there. Big waves and strong winds are normal occurence, so if you love extreme watersports, this is perfect for you. 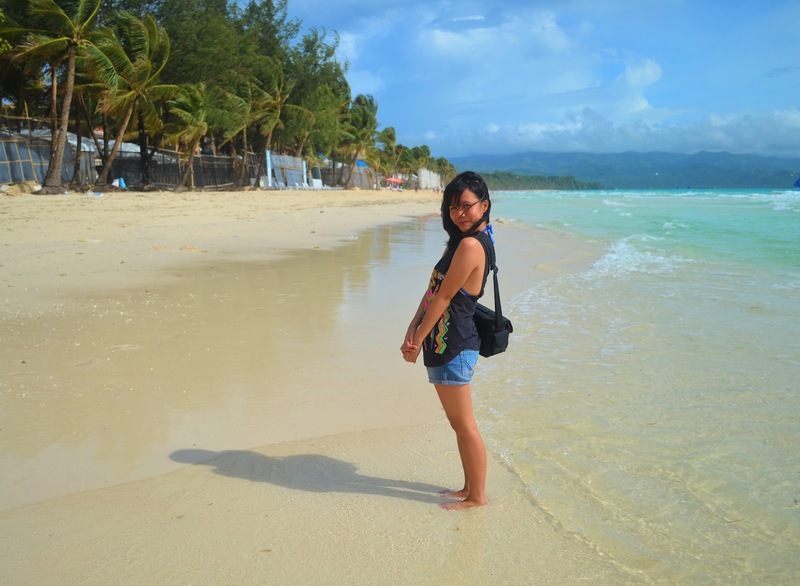 The tropical paradise of Boracay is a 4km long powder white sand beach. The island is about 7km long and has several remote beaches like the Bulabog beach which, due to strong winds, considered the best kiteboarding and watersports beach in Asia. Amihan (November to June) - moderate temperature, little or no rainfall. Prevailing wind from the East. Habagat (July to October) - rainshowers tend to be heavy but short in duration. Prevailing wind from the West. 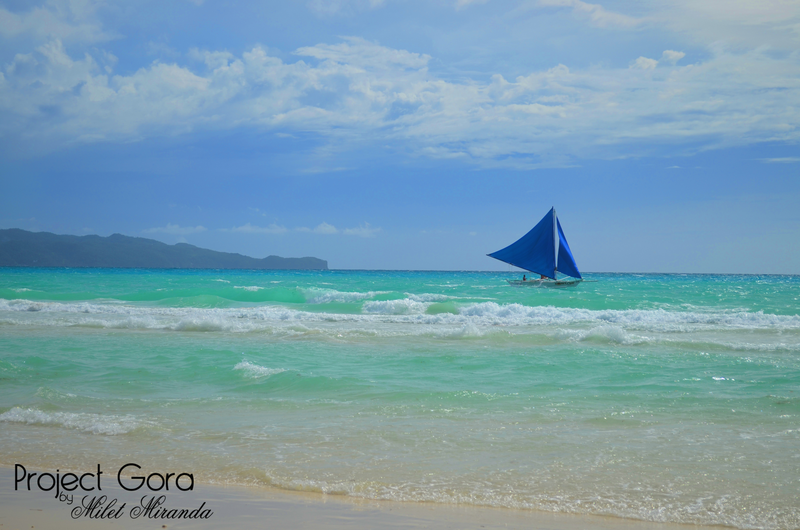 Here's a photo of Boracay during the Habagat Season. The wind blows westward into white beach. There is more rain and fewer tourist that's why the season is also called Low Season. The main indicator of the switch between Amihan and Habagat is the switch in wind direction. 2. Everything is CHEAP- You can absolutely apply the law of supply and demand in Boracay. From watersports to accomodation, it is easier to get it half the original price. But of course, it also depends on your haggling skills. 3. Direct flights to Caticlan - cheaper flights to caticlan are easier to get. Expect more seat sales from airline companies during low season. 4. Extreme watersports - Though it might not be the best season for skin tanning, Boracay is perfect for extreme watersports during the habagat season. During this time of the year, extreme watersports like kiteboarding are being done in white beach where the winds are stronger. 5. Eat Pray Love - For me it is more enjoyable and relaxing if there are less tourists. 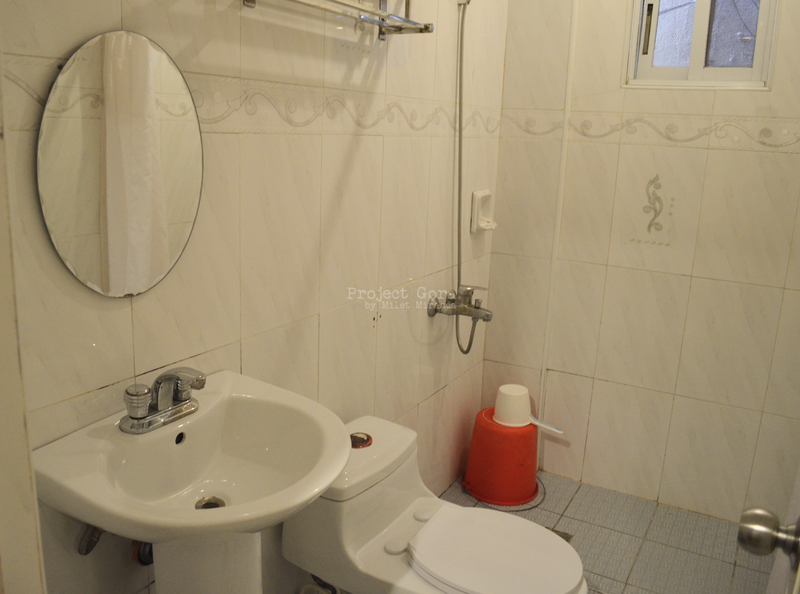 I initially planned to book with White Beach Divers Hostel. 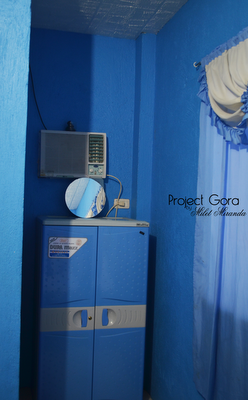 Their fan room costs 500php per night and it is good for two. Since we were 6 in the group, I inquired if they have a family room. I sent an email and got a response from them. Unfortunately, they cannot accomodate us so I had to find another. 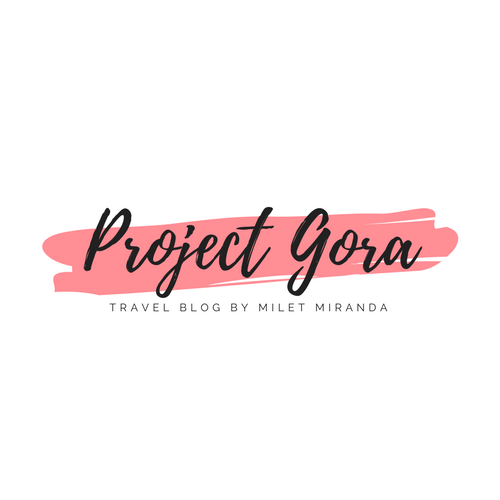 Since I recently embraced the concept of budget travel, I immediately checked the blog of the AUTHORITY in budget travel Journeying James. 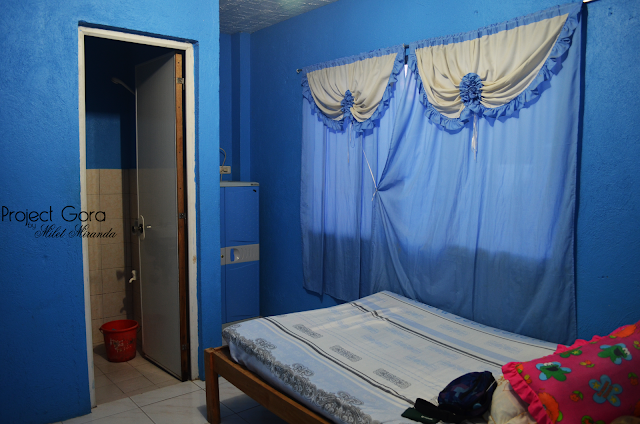 He provided a detailed list of cheap accommodation in Boracay. I sent an email to TAJ and received a quick response. 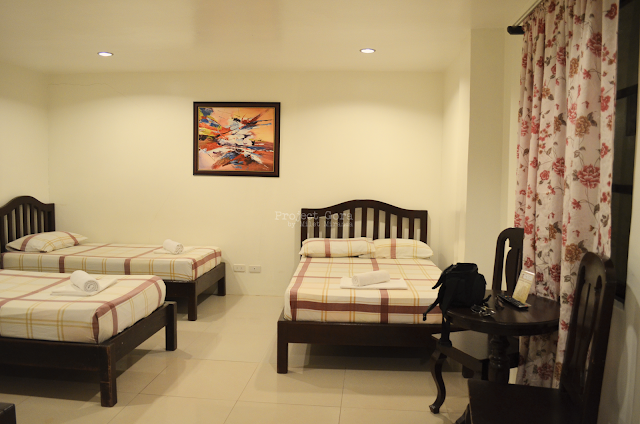 The family room costs 3,000php per night(low season). We were 6 in the group so that is 500php/pax. 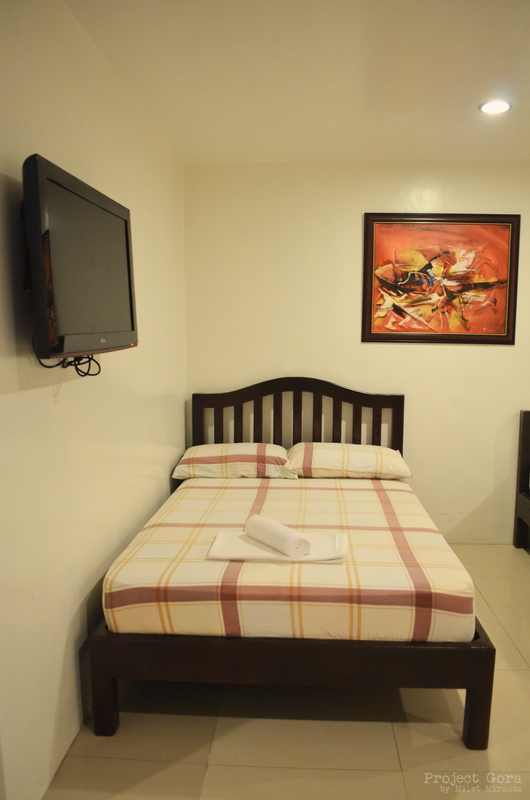 The room has 2 double beds and 2 single beds. Towels are also being provided. That is a plus point for me because I hate bringing towels when I travel. Mabigat kasi sa bag. 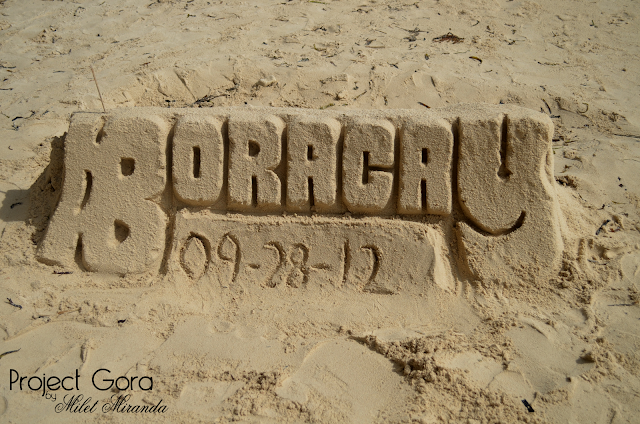 When we arrived in Boracay(Sept.27), we immediately walked around to find TAJ. It's pretty much easy to find because they are located in Station 2. Just a few steps away from the beach. Months prior to the trip, I already decided what to do in Boracay. I don't really fancy the cliche stuff like helmet diving and island hopping. I only had one thing in mind that time and that was Parasailing. 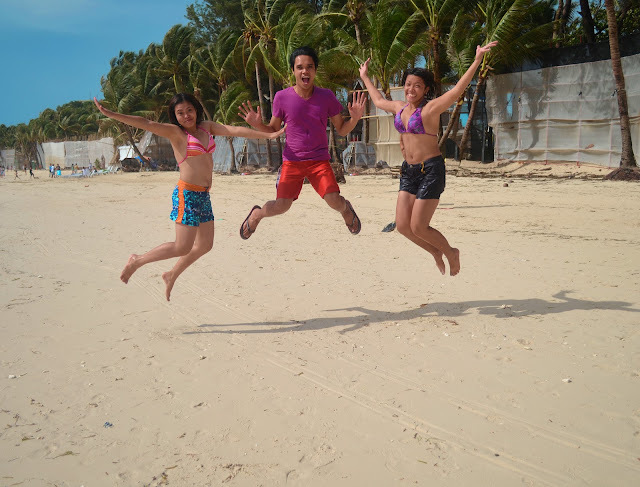 When we arrived in the island, a tour guide offered us a budget package for ATV ride, parasailing and helmet diving. I immediately asked him if they offer scuba diving. He said yes and it costs 1,400php. That's cheap! 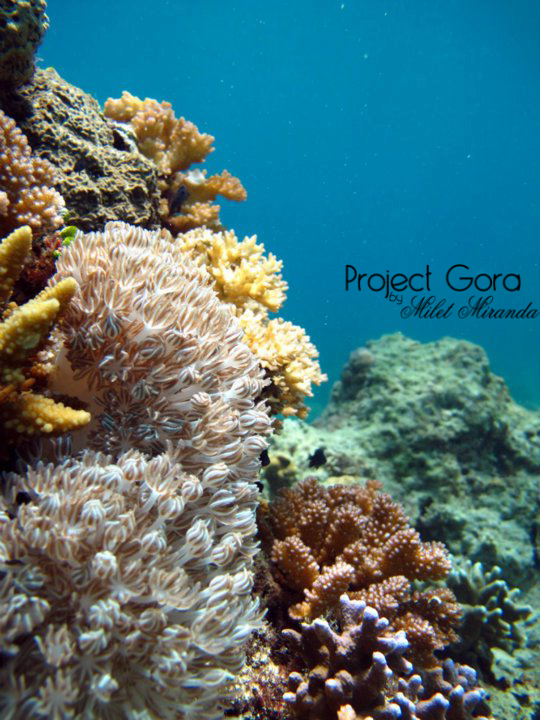 I paid 1,750php on my first dive in Anilao. I asked my friend to try Scuba diving. He said yes but he is a bit hesitant at first haha. starfish we're meant to fly! charaught! I found a cute starfish and I had to dive deeper in order to get a closer look. Starfish is not a fish. 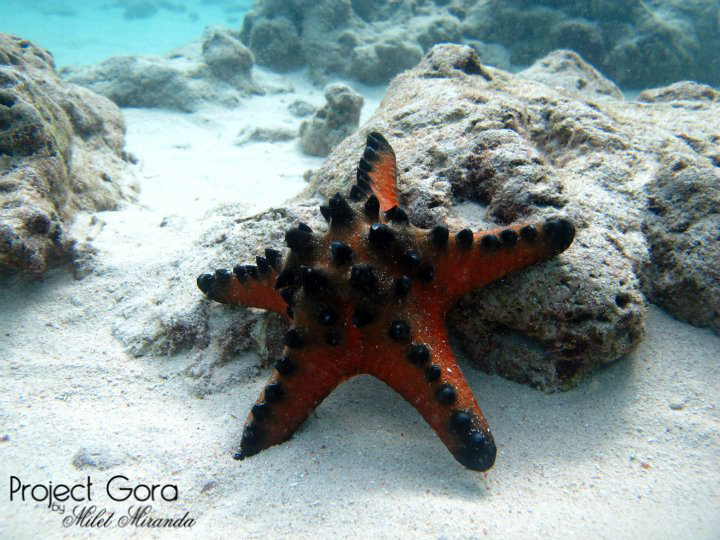 According to National Geographic, it’s an echinoderm, closely related to sea urchins and sand dollars. Ever wonder where a clownfish lives? Or why you always see a photo of a clownfish playing around a tube-like plant? The reason is because they have a mutualistic relationship. This tube-like thing is actually not a Plant. 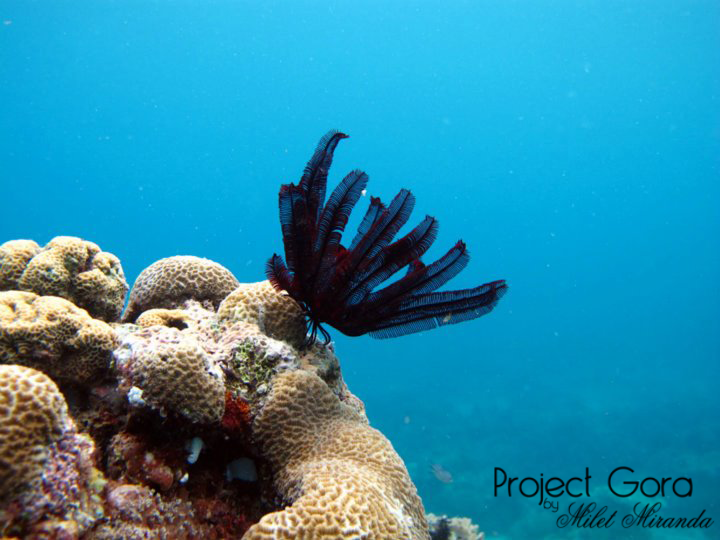 It is called a sea anemone which is a close relative of coral and jellyfish. 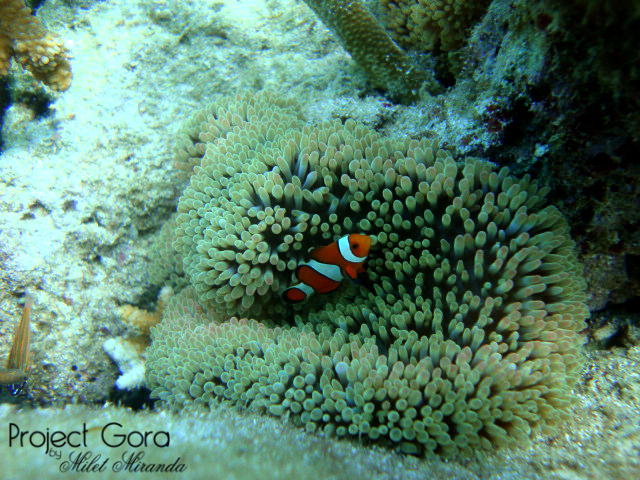 Clownfish and sea anemone live together and they protect each other against predators. When I saw this, I was really fascinated so I touched it. It feels like a jelly so I thought it's not poisonous. According to our dive master, sea anemone has poisonous tentacles. Goodness! I did not feel any sting but I was worried! Haha! A piece of advice: DO NOT TOUCH ANYTHING UNDERWATER not unless you are sure it is not poisonous. 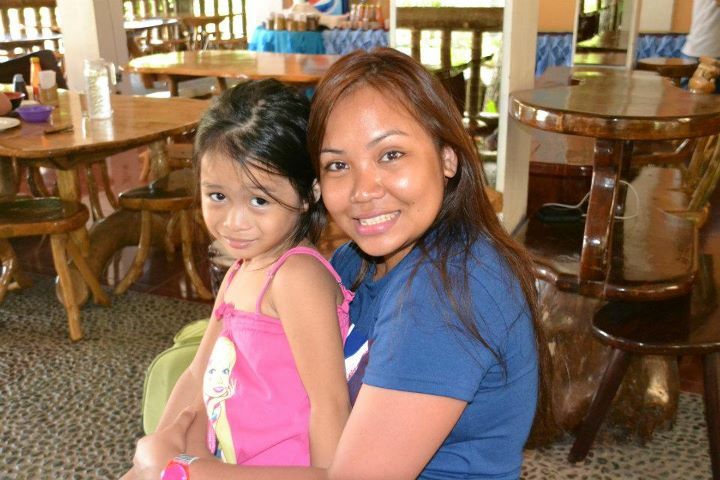 I am planning to take my certification in Anilao. 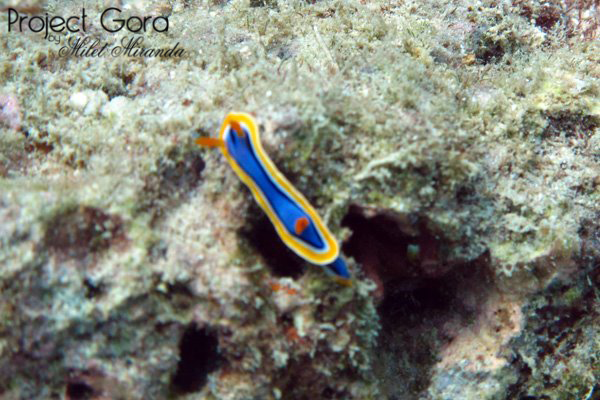 It is the best place for scuba diving! Hopefully by next year I will be certified. In the meantime, I will save up for that :) Good luck to me!